New! Zodiac Taurus Papyrus Stickers! Write your name in hieroglyphics. Unique gift for those with birthdays in Apr. and May. Fun gift! 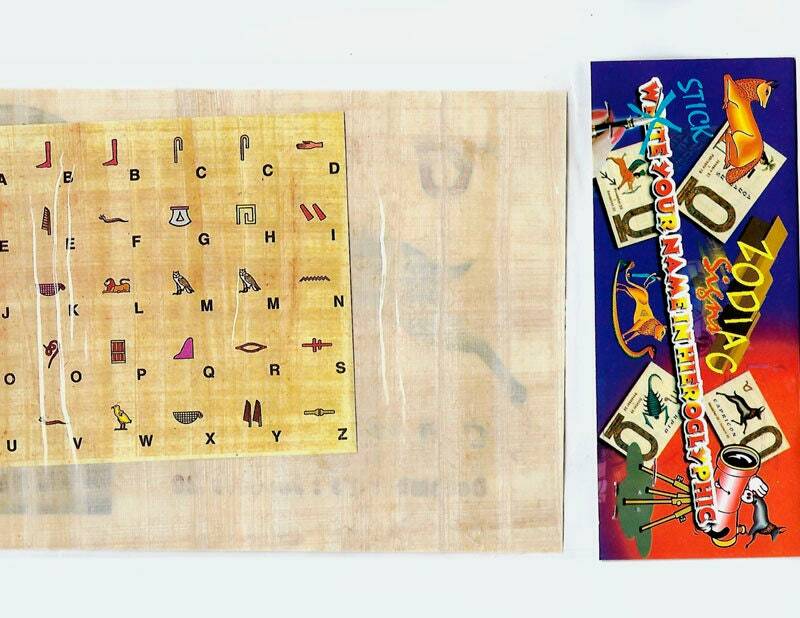 Write your name in hieroglyphics on genuine Egyptian papyrus! 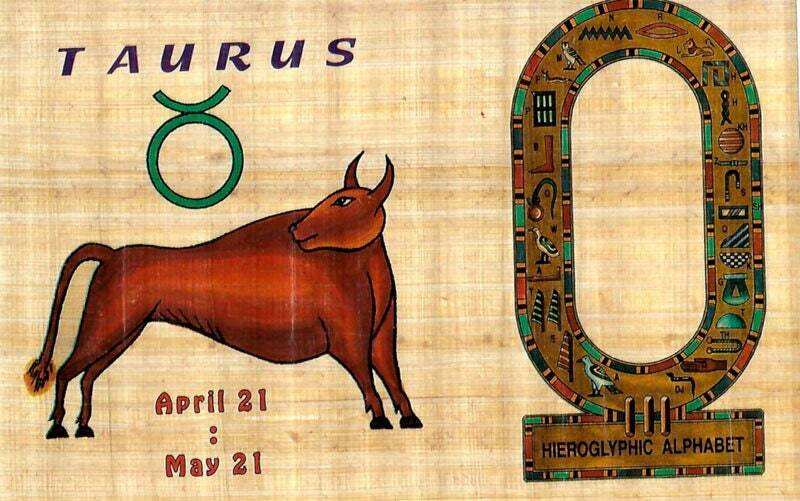 Great gift with kids who are the zodiac sign of Taurus! The Papyrus with cartouche comes with two sets of hieroglyphic alphabet letters. Kids can write their names with the stickers provided and put them into the cartouche on genuine Egyptian papyrus imported from Egypt. Measures 6 x 9 1/2 inches. Comes in a plastic sleeve with cardboard header. A fun learning and or party activity! Great for kids born in the months of April and May! Super for Egyptian themed birthday parties, home school enrichment activity, school projects and more! You won't find these in stores. Museum quality papyrus at an affordable price!